I don’t mind making drinks that require several steps and a handful of ingredients. But let’s face it; my go-to drinks usually consist of two or three ingredients at most. I’m more prone to build a drink in the glass at the end of the day than to pull out a cocktail shaker and muddler. The same can be said when hosting parties. 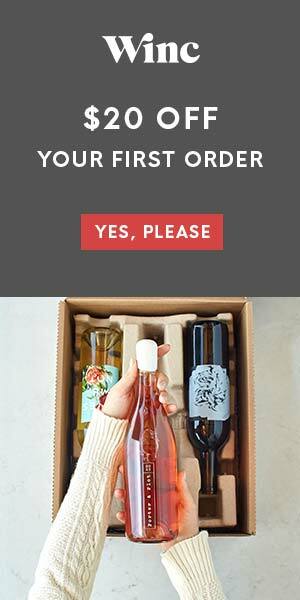 I usually prepare a few batch cocktails so there’s a selection of mixed drinks. Something for everyone. For those who want the basics, there is usually a few spirit choices and several juices and mixers to choose from so they can build their own. Whether you’re hosting a Super Bowl party, baby shower or birthday gathering, keep the cocktails simple yet tasty so you can enjoy the party, too. 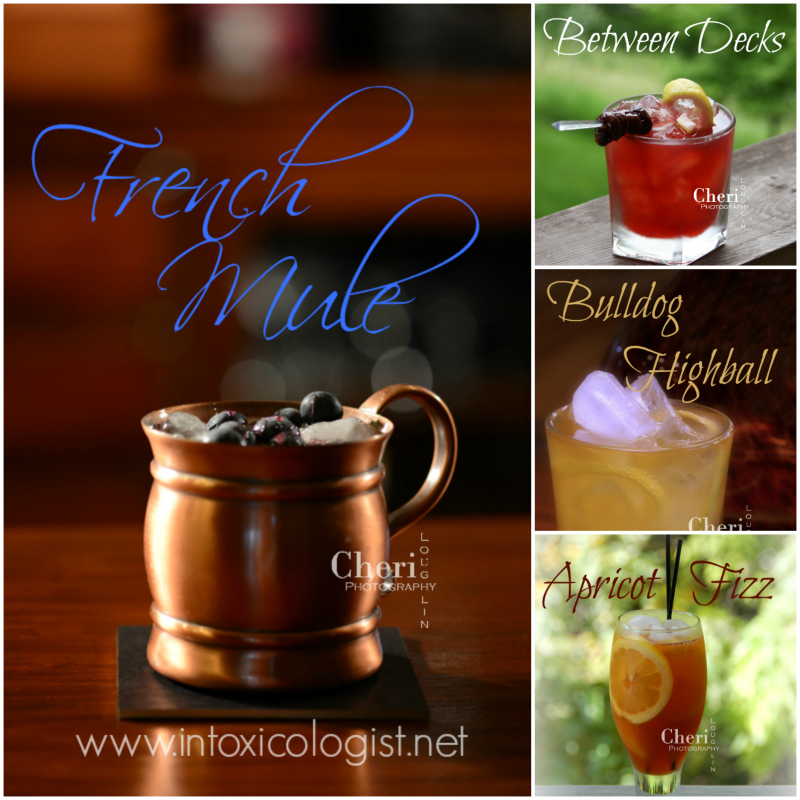 The French Mule is a variation of the every so popular, Moscow Mule. Vodka is replaced with cognac or brandy. Dress it up a little by adding fresh berries to the top instead of plain mint. 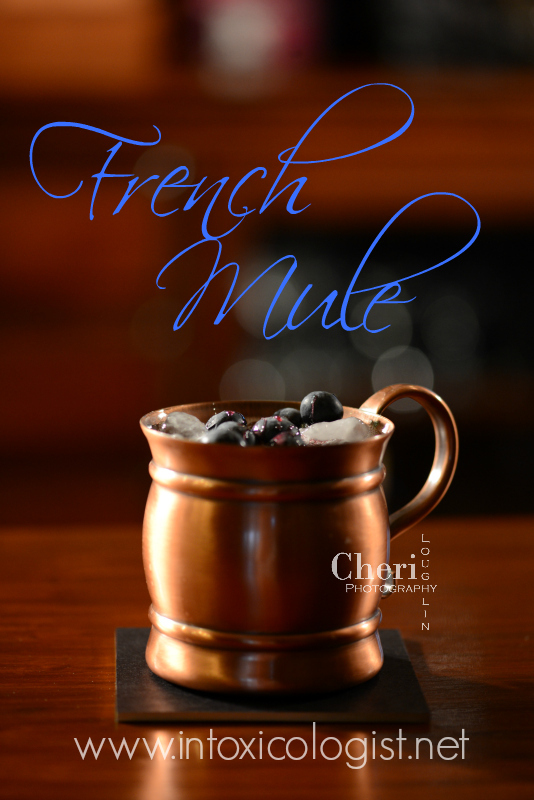 Blackberries or blueberries would complement the French Mule flavors rather nicely. Place ice in a large rocks glass or copper mug. Add brandy, juice and simple syrup. Stir briefly. Top with ginger beer and bitters. 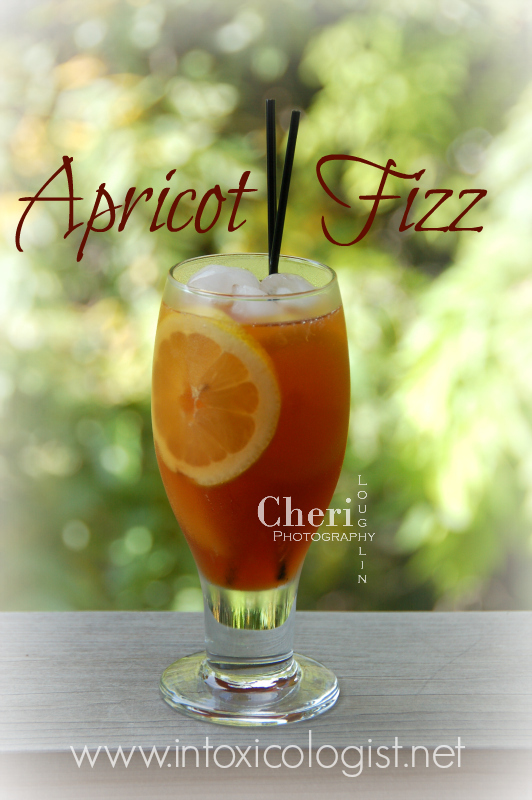 The Apricot Fizz is full of flavor without going overboard on alcohol. 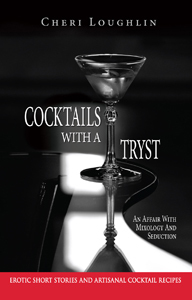 After all the point of drinking cocktails is to enjoy the flavor for as long as possible. Add more orange juice for more fruit flavor. Add a tiny bit of simple syrup or grenadine if you need a little more sweetness. Combine brandy and juices in a cocktail shaker with ice. Shake briefly. Strain into a tall glass over fresh ice. Top with club soda. Add a lemon slice for color or additional flavor. Drinks that can be built in the drinking glass rather than shaken in a cocktail shaker take one more step and more bar tools out of the way. That gets you to sipping sooner without as many dishes to clean afterward. Regular maraschino cherries can be used as garnish. 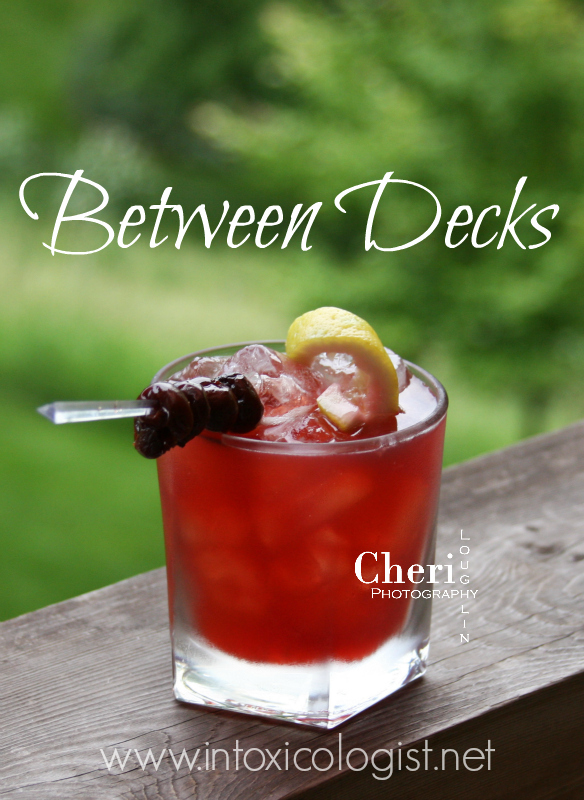 Or kick this drink up a notch with homemade liquor infused cherries. Build in a tall glass over fresh ice. Stir until simple syrup is completely dissolved. Garnish with mint sprig and maraschino cherry. The original recipe as listed in Trader Vic’s Bartender’s Guide 1972 edition calls for blending all liquid ingredients with one scoop of shaved ice. Garnish included fresh mint and fresh fruit stick. 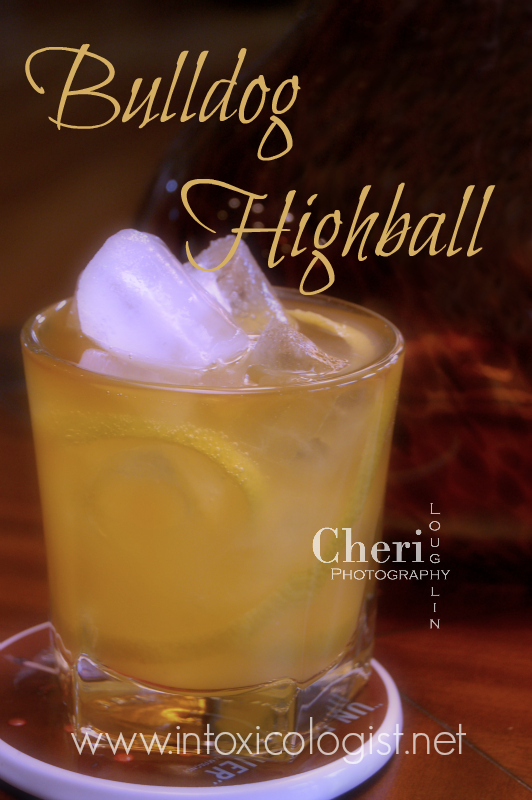 The Highball drink is so versatile because it is defined as a two ingredient drink consisting of one alcohol component and one mixer component. My go-to highball ratio is usually 2 ounces liquor to 3 ounces mixer. That depends of course on the particular spirit being used. Some spirits are more flavorful and more potent, so use your best judgement. 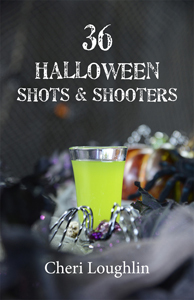 More two ingredient highball drinks can be found here. This Bulldog Highball decreases the amount of juice, but adds in ginger ale to make up the non-alcoholic mixer difference. Place ice in a highball glass or large rocks glass. 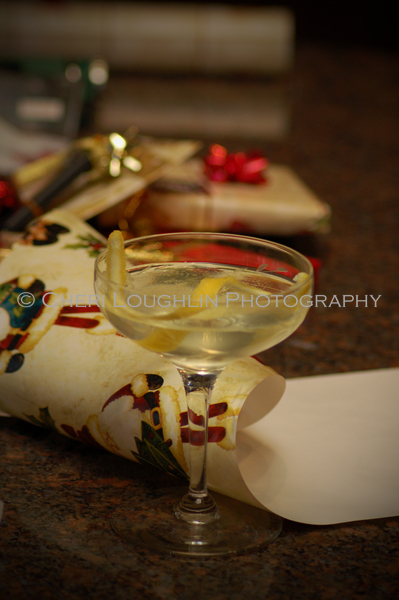 Add gin and orange juice. Top with ginger ale. Stir briefly. Garnish with orange peel.